SMK Redang Panjang is one of those schools that bring you deep into rural areas, only to surprise you with the openness and friendliness of the community within it. Teachers in this school would all tell you the same thing –students come from underprivileged backgrounds with a slower start in life, which contributes further to them falling behind academically. When students resort to copying notes, homework and exam answers, we attributed this behaviour to laziness and refusal to learn. My biggest discovery happened when I realized this assumption was very wrong –some students would move their chairs to the front of the class, and some would stay at the back to copy. It was because they could not see! At this point, I realized that vision correction has become so normal to city dwellers that we hardly think about it anymore; much less assume it to affect students’ education. For families relying on RM500-700 a month, this is a big issue. For families who do not own cars and only spend on basic necessities, even travelling beyond the village to get their eyes tested is a challenge. SMK Redang Panjang is at least 45 minutes drive away from the nearest city (Kamunting) and 20 minutes drive away from the sole optician in the nearest town (Selama). Enter Pott Glasses and their One for One Campaign. One thing that stood out among the owners Hau and Eden was the amount of work they put into helping those in need. It is rare to meet people who are willing to commit their time and effort to a good cause. Pott Glasses not only donates free glasses to these students, they also go to the extent of coming into the school and running comprehensive eye examinations themselves. This particular collaboration between Pott Glasses and SMKRP has highlighted the need for 101% cooperation from all sides to benefit our children. 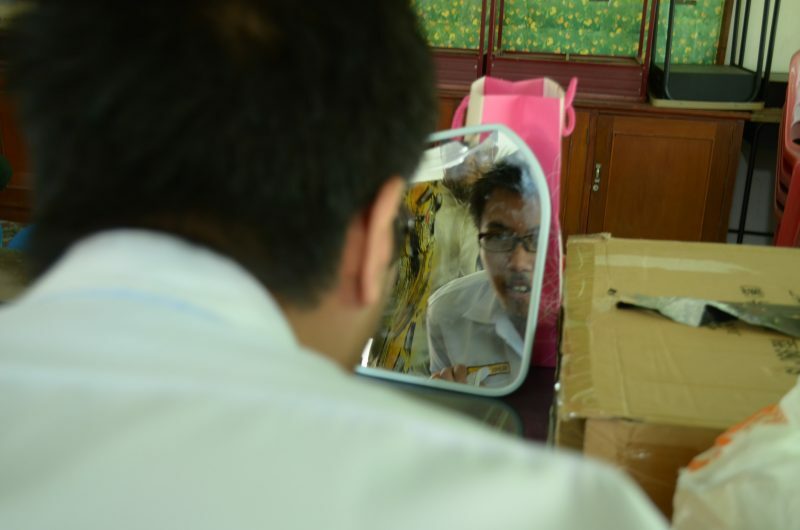 As a former teacher and Teach for Malaysia alumnus, my role was mainly to connect the two parties and lay down the groundwork needed to kickstart the project. Prior to Hau and Eden’s arrival on 28th April 2016, Cikgu Nurul Iman has pre-screened hundreds of students and shortlisted 53 of them to be eligible. 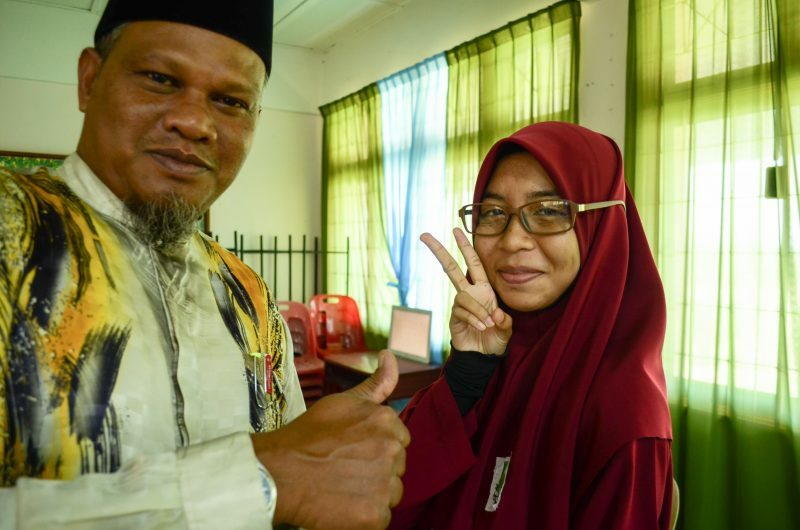 Additionally, Cikgu Ghaffar and Ustaz Bakhtier took the time to ensure that the classroom is clean and comfortable, besides also stationing three Form 5 students at the room to help out the entire day. The entire process for 53 students lasted from 9.30am to 2.30pm. Throughout the day, the Pott Glasses duo hardly stopped to take a breath, and yet they were available to lend their expertise and experience if there were any questions. 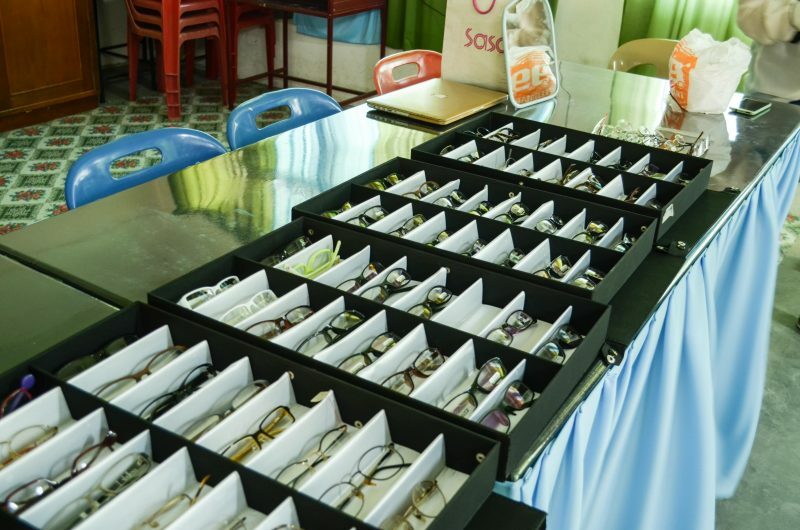 The students were provided with nothing less than professional attention, so much so that they were even given the choice of what frames they would like. It was a privilege they would never have gotten elsewhere, and they certainly loved the process of trying on new glasses for themselves. 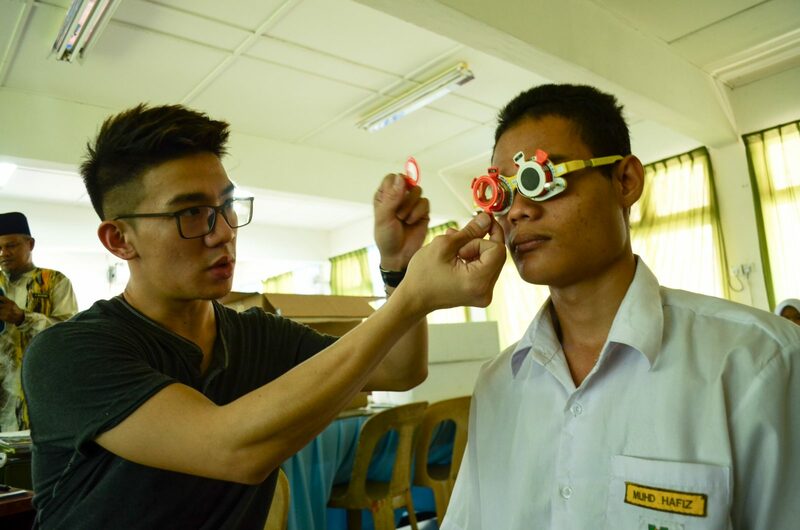 The contributions by Pott Glasses, a local homegrown brand, to the Malaysian communities are highly valued. It goes without saying that I am extremely grateful to have met them and to have acquired their commitment to this campaign. Besides a renewed hope that this would lead to better changes in the country, I think this should give rise to increased support for local businesses and entrepreneurs. Pott Glasses –thank you for doing what you do. This entry was posted in Events, One For One. Bookmark the permalink.